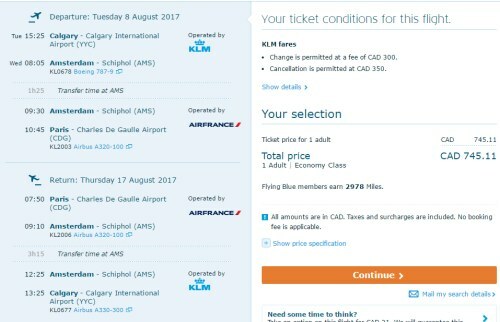 There are some flights available from Calgary to Paris, France for peak summer travel starting at $745 CAD roundtrip including taxes, which is around $500 cheaper than you usually see for August travel to Europe. The flights are with KLM and Air France. Tip: Look for the flights that are $746 CAD roundtrip. The ones that are cheaper than this may lead you to a dead end, from what I've discovered so far. Not all combinations of dates and flights will work. Some seem to lead you to a dead end. On Google Flights, you should see the 'Book with Delta' or 'Book with Air France' or 'Book with KLM' button come up after selecting all of your flights. If you don't see those buttons come up, it's a dead end (not bookable). You may want to try slightly different dates or flights. 2. Select your flights and click through from Google Flights to the Delta website or KLM website or Air France website for booking. 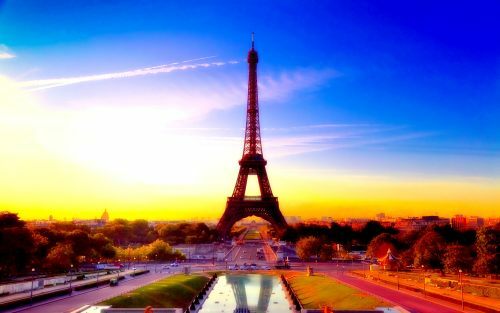 flight deals, europe, western europe, air france, paris, cdg, klm, france, edmonton and yeg.